T4 Technologies was started in 2002 by Rob Scott. Rob spent years working as a Systems Administrator for a local non-profit and saw a need for a quality IT Consulting Company that could cater to the needs of the non-profit community. 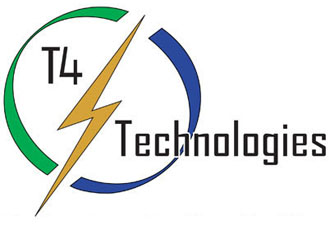 T4 Technologies was started under the simple philosophy of providing For-Profit Services at Non-Profit Prices. The idea that the right technology could help non-profits accomplish their mission, but shouldn’t break the bank. Word got out and T4 Technologies quickly became known for their ability to function as a Contract Chief Technology Officer; the Advisory role that so many businesses need but can’t afford. T4 began to grow and that growth allowed us to expand our services to: for profit companies, government agencies, and the dental community; including a long list of Dentist, Orthodontist and Oral Surgeon customers. 15 years later and we still hold true to those ideals that got us started. We make complicated technology make sense, we learn our client’s goals, and show our customers how technology can help them accomplish those goals. While other consulting companies may have a one size fits all cookie cutter solution; we know that every business is different; that’s why we learn your goals and make sure the technology you use every day works for you.